Dinex still manufacture RE exhaust parts which can be sourced from any good supplier. Part numbers and diagrams for LH, RE and VR models are all listed here. The company to contact for all clutch and flywheel parts is Truckfix - they will even manufacture new parts in the UK and can be contacted here. 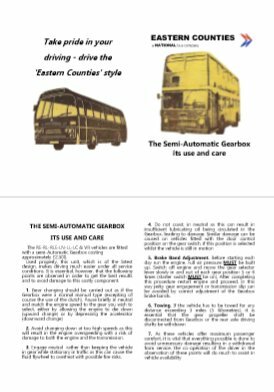 The three belts that drive the compressor on a Gardner-engined RE are type 6477MC and can be obtained here. Alliance Electronics will refurbish many electrical items to a high standard. They can be contacted here. Advanced Materials Ltd. of Littlehampton have supplied rubber extrusions for several restorations recently and the results look really excellent, especially their cream rubber. They can be contacted at sales@amsilicones.co.uk or on 01903 713566. 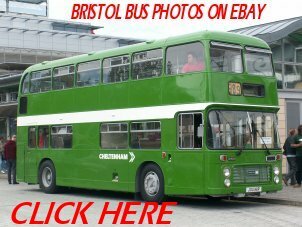 If you are unable to find the parts you need I can recommend Partsmaster of Rochester who supply a wide range of parts for PSVs including Bristol models. They stock chassis, steering, brake, exhaust, bearing and suspension parts but John Radley is always worth a call on 01634 296970 to see what he can do for you. Another source of general parts is Carl Ireland of Hull who has a huge stock of parts for heritage PSVs and who will help you whenever he can. Carl can be contacted through carlsbus@yahoo.co.uk. Finally Past Parts of Bury St Edmunds are worth a try - they supply many parts for all types of heritage vehicles and will also recommend alternatives if the part you need is out of production and will even refurbish or remanufacture your old part. They can be contacted on 01284 750729, via their website at http://www.pastparts.co.uk/ or you can find them on Facebook.